By Caz | March 21, 2019 | This post may contain affiliate links, which means we may receive a small commission, at no cost to you, if you make a purchase through a link. Read our Disclosure. Jack Johnston strums his guitar and sings of Taylor finding a better world. While I’m not wishing for a better world myself, his breezy laid back acoustic tunes are the perfect friend for our adventure driving the Road to Hana in Maui, one of the most famous road trips in Hawaii. Jack Johnson has said in interviews before that his muse for writing songs doesn’t come from pushing the art but by being present with nature, with the Hawaiian air and ocean and the songs just start coming. In essence, connect deeply to life and let it flow. There is nothing distracting you from the essence of life on the Road to Hana, except perhaps Jack’s soothing melodies. The 45-mile road to Hana drive from Paia to Hana is embedded on the side of the high jungle cliffs plunging into the sea revealing panoramic Pacific Ocean views, bamboo jungle and Norfolk pines, sacred waterfalls and swimming holes, lava tubes, tropical flowers and roadside food stands. The mountain streams provide a refreshing reward for the many twists and turns. Hold your stomach tight, up ahead you have 617 hairpin curves and 56 one-lane bridges. You’re going to need a bit of stamina, especially on that long winding road home. You’re going to be wishing you could click your heels three times. Driving the Road to Hana in Maui is high on the bucket list of many who want to visit Maui, the second largest island in the Hawaiian Islands. For us, this road trip fell a little short of our expectations given the exhausting length of those windy roads. We found notable sights were poorly marked, and because we have done so many great drives like the Daintree Rainforest and Great Ocean Road in Australia, and the Chapman’s Peak Drive and Garden Route in South Africa, we were a little under-awed. However, if a scenic jungle drive is something you have not done before, you’ll probably love it. The Hana Highway is a 64.4-mile (103.6 km) long stretch of a two-lane road connecting Kahului with the town of Hana in east Maui. Although Hana is only about 52 miles (84 km) from Kahului, it takes about 2.5 hours to drive without stops! The Road to Hana stops are marked out by Road to Hana mile markers, but these aren’t always clearly marked! The Hana highway continues to Kīpahulu as Hawaii Route 31 (the Piilani Highway) and has other worthy things to see (some say the best of the Road to Hana stops), but as mentioned it’s poorly marked. We attempted to keep going past Hana but it felt like we were just turning and turning and had no idea where we were or how far we were from the waterfalls and swimming holes, so through exhaustion gave up to return back to Ka’anapali. I can’t stress enough the importance of a good map and Road to Hana guide for this road trip. We departed with a couple of tourist brochures, which included a map. Time constraints now leave me little research time, so I thought that would be more than adequate. WRONG! The Road to Hana is one you don’t want to go unprepared for, especially with a good map and guide. This would be the number one thing I’d do differently. As mentioned things are poorly marked, so that waterfall you heard that was so amazing, you will never know where it is! A couple of things are marked but not all of the Road to Hana highlights. Of course, I went into frantic online search and found a road to Hana app that looked really useful, but lost my internet connection before I could get it!! I’ve read many reviews since to say it’s one of the best Road to Hana apps to help you have the most amazing experience. It costs $4.95 but I reckon it’s money well spent so you can have the best experience for your Hana road trip. For those who want more traditional information, there is a Road to Hana guide on CD which gets good reviews. 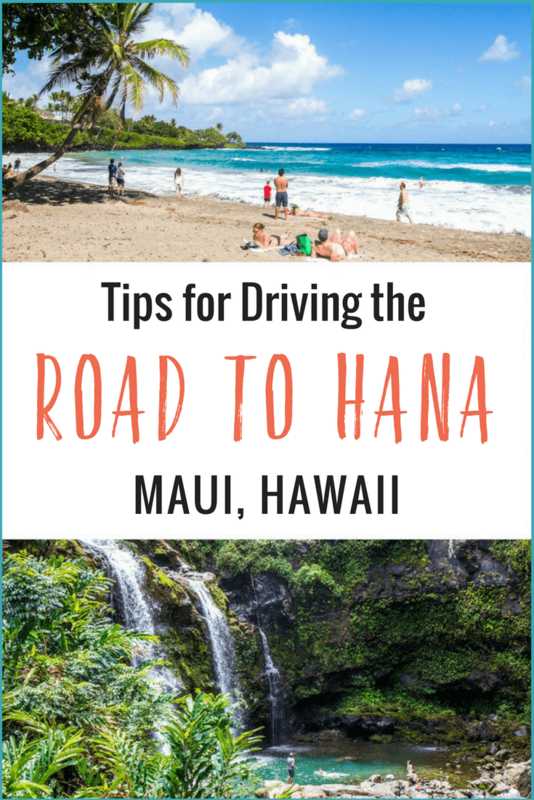 It comes with 26 narrated tracks covering the top 15 spots on the Road to Hana in Maui, a large map with important mile markers, sample 1 and 2-day itineraries, driving tips for the Road to Hana, a checklist of items to bring, and photos of the Road to Hana. What are the best road to Hana highlights? 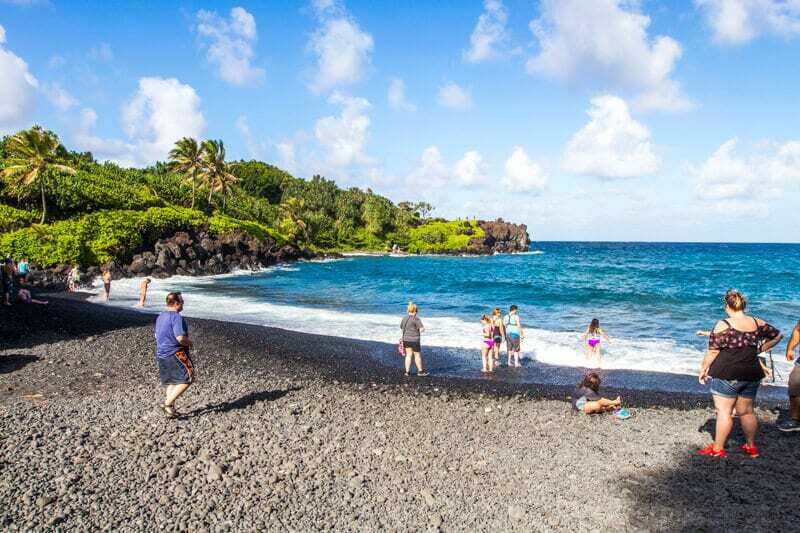 Below is the best road to Hana stops we recommend, or wished we had more time or knowledge of to experience on this famous road trip in Hawaii. 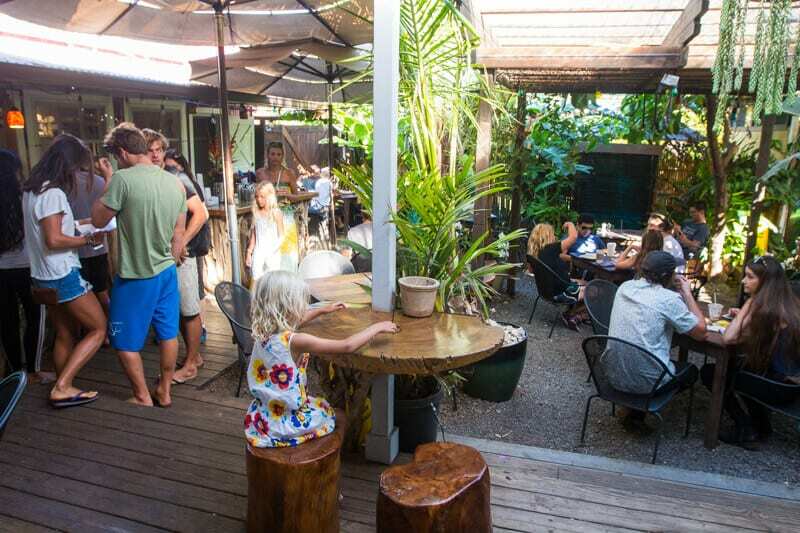 Paia originated in the 50’s as a Hawaiian plantation village. It has since developed a reputation as a laid-back town popular with world-class windsurfing. I think the surfers may like the waves here too. 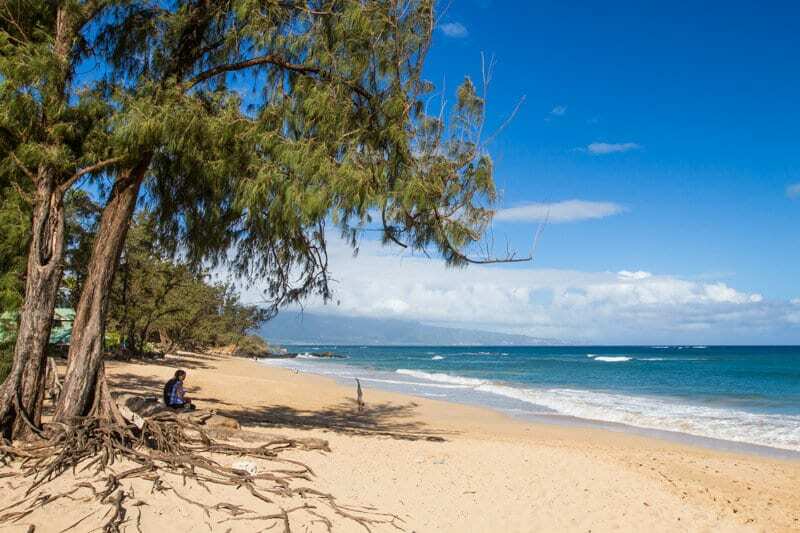 Some of Maui’s best beaches are known to be here and are still surrounded by sugar cane. It might be worth spending a bit of time here to absorb the bohemian (others might term hippy) vibe, eclectic storefronts, restaurants, boutique shopping and yoga studios – all on one road! Mana Foods is said to be the best natural food store on Maui. Not sure how we missed that one! I thought Paia looked more interesting on the drive home – it seemed more vibrant. It was quite sleepy when we passed through in the morning. We stopped for a quick coffee at Paia Bay Coffee, and I feel Paia might deserve a little longer than that. It could be an option to stay the night here either before or after the road trip to Hana. Ka’anapali Beach Hotel (where we stayed) is another 50-minute drive from here. No one on the Road to Hana received the message that a little scramble down the muddy rocky ravine with the assistance of tree roots – we were all wearing flip flops – hiking Hawaiian style. Twin Falls is the first of the accessible road to Hana waterfalls and is a one-mile round trip walk from the parking lot. The trail in is beautiful. Walk up to the top of the first falls to see another smaller cascading one. We didn’t swim in the pools but saw others doing it, so bring your swimmers. There is a snack stand upon arrival as well. 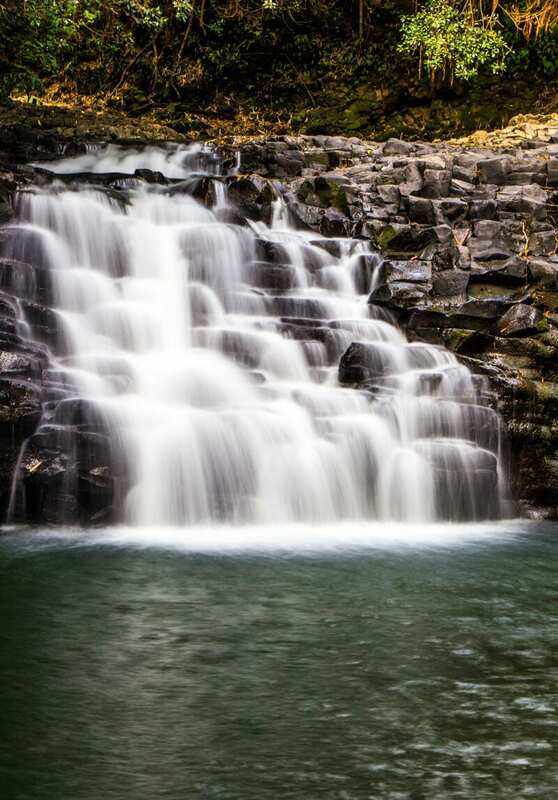 For more local tips about trails and hidden waterfalls and swimming holes in the Twin Falls area check out this insider guide! 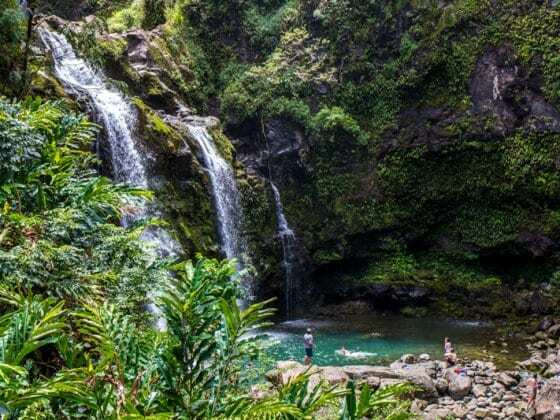 26 lush acres and more than 700 species of plant life, Garden of Eden has the most varied collection of plants across the state, a coastal view of the opening scene to “Jurassic Park,” and a newly built overlook onto a waterfall. At $15 per adult, $5 per child, I find the entrance fee a little pricey but I actually really enjoyed it and it was one of my favorite spots on the Road to Hana. We didn’t know the price until we drove up to the entrance and although we hesitated, we decided to as we were already there. Would I pay that price again though? Would I pay that price again though? Not sure. I would if I was on my own or it was per vehicle. For a family of four like us factor in $40. When we first drove into the bird feeding area and saw a crowd of people feeding peacocks, ducks and geese I began to fret over the money we spent that this was not going to offer much. How much bird feeding can you do in a lifetime of travel? However, once we dove into the diversity of the gardens I began to open up to how special the expense was. 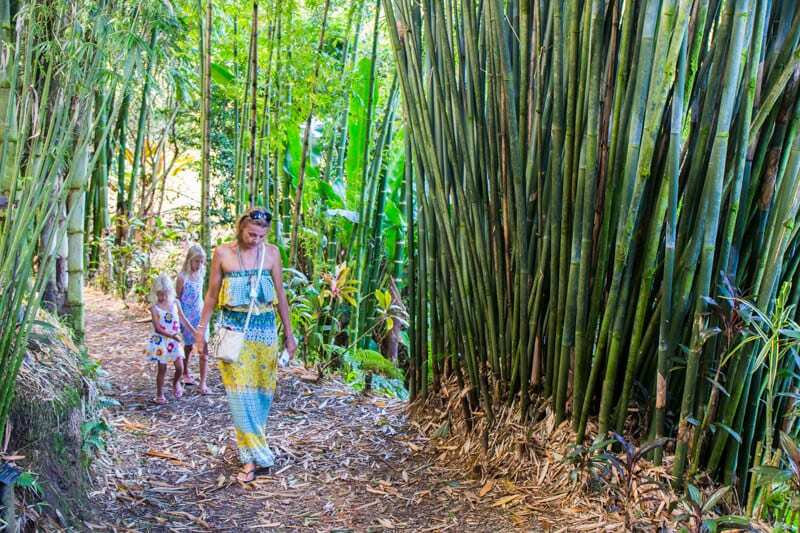 The gardens are divided into sections, each with clearly marked and easy walking trails past plants native and indigenous to Hawaii, and exotic ones from around the South Pacific region and the world’s rain forests. You can walk through the bamboo alley to a 100-year-old mango tree. Make sure you stop in front of the bamboo clusters so your kids can listen to the ghostly groaning sounds they make as they sway against each other. 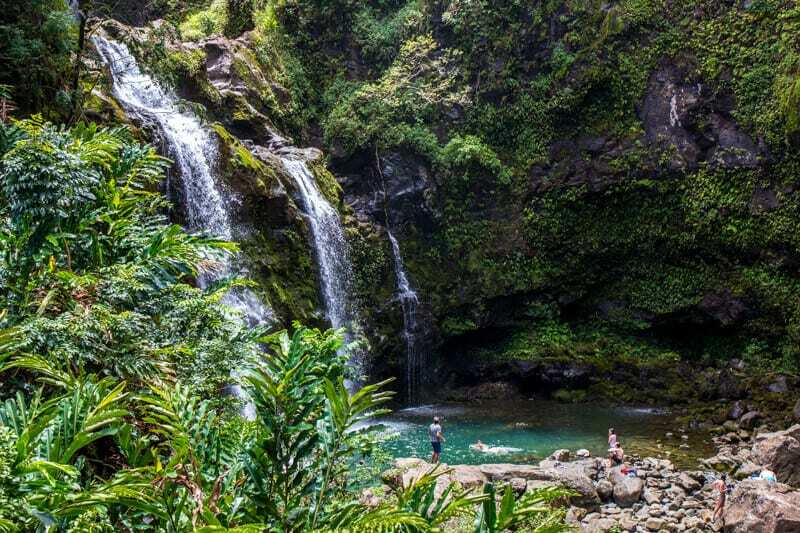 Head to the overlooks on the edges of the arboretum to see the Upper and Lower Puohokamoa Falls, the latter of which cascades over a 200-foot cliff below the Road to Hana. One reason for visiting the Garden of Eden is that these falls are relatively hidden and inaccessible to the public, which makes this the best view you’ll get of them. There is also an open-air platform to see Keopuka Rock, also known as Jurassic Rock because of its appearance in the 1993 movie’s opening sequence. It is way off in the distance and, although I don’t remember it, I can clearly see the resemblance to Jurassic park scenes in the surrounding scenery. I also loved the view we got within the gardens of the winding Hana Highway below. Photographers and Videographers will love it. The gardens are a pretty oasis. You will need at least 30 minutes to an hour here to fully experience it. Open 8am – 4pm daily. Visit their website. If you’re in need of a bathroom, picnic table, or a place to stretch your legs, this area is where you want to stop. There are adventurous hiking trails nearby. Note; they aren’t maintained or easily accessible. Most people pull over for the coastal view. We stopped briefly as we had a good stretch of our legs at the Garden of Eden. We missed this spot but upon my research, I’ve noticed that it might be a little gem worth pulling over for. 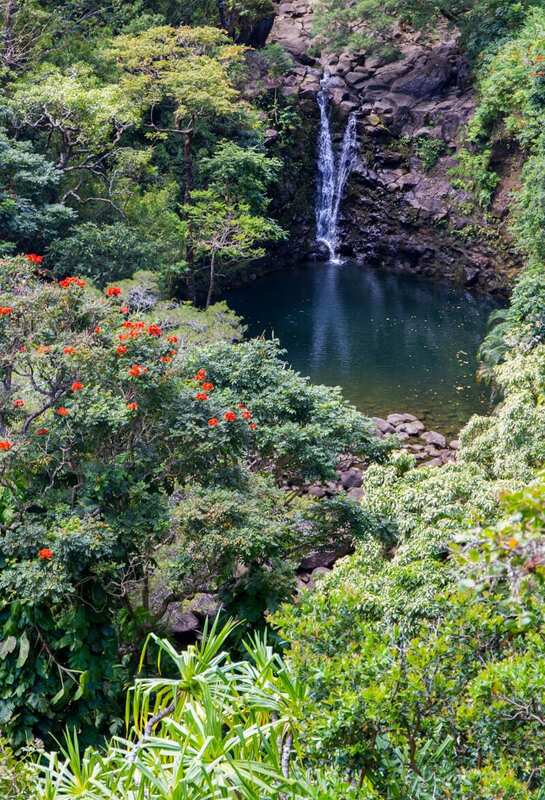 The botanical garden sits along the Pi’inau’au Stream and within a rainforest and is free to enter. There is a half a mile paved walkway through 150 varieties of tropical plants. We took the stairs on the right of Wailua Valley State Wayside to the top and were treated to a view of Ke‘anae Valley and Wailua on the ocean and Ko‘olau Gap in the mountains and the village of Wailua. It will be a quick stop, but worth the scene. The Upper Waikani Falls is also known as Three Bear Falls thanks to the three separate but parallel falls of differing lengths – with the third and smallest being the “baby bear” falls on the right. It is one of the most popular waterfalls of all the Road to Hana stops. It’s a quick stop, right on the side of the road. There are limited parking spots here so we grabbed a quick photo and moved on. If you can manage it walk underneath the bridge on the ocean side of the Hana Highway. The foliage is lush and green which makes it a picturesque and tranquil place for swimming. If you can manage it walk underneath the bridge on the ocean side of the Hana Highway. The foliage is lush and green which makes it a picturesque and tranquil place for swimming. I only noticed this spot on the way back. By that stage, we were over it and focused on getting home. The car park was closed which is why we may have not noticed it but it looked like a great spot for swimming. It’s a five-acre area lush with tropical plants and waterfalls. Apparently, caution is advised when walking to the waterfalls, especially those deeper into the jungle! There are also bathrooms and picnic tables here. Nahiku Marketplace is a collection of roadside stalls with a variety of food options, coffee, and local wares. 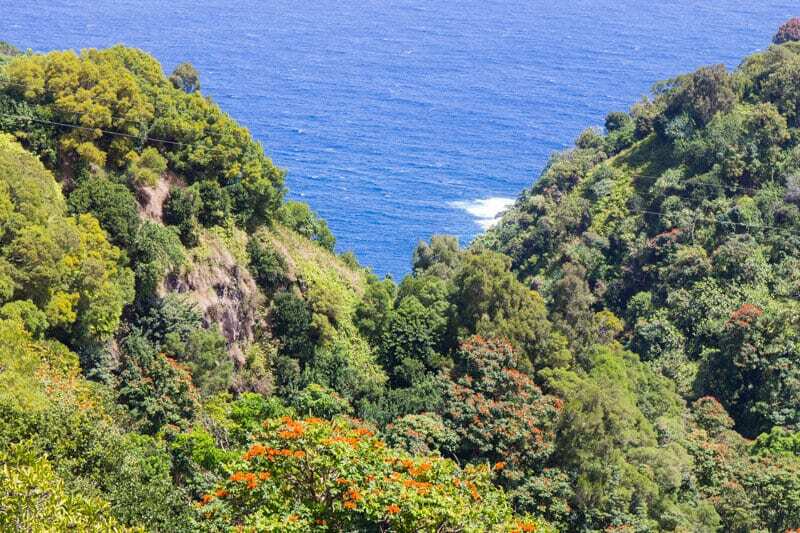 I have heard that the locals here are very unhappy about tourists detouring off the Hana Highway to explore more of the scenic drives around the area. 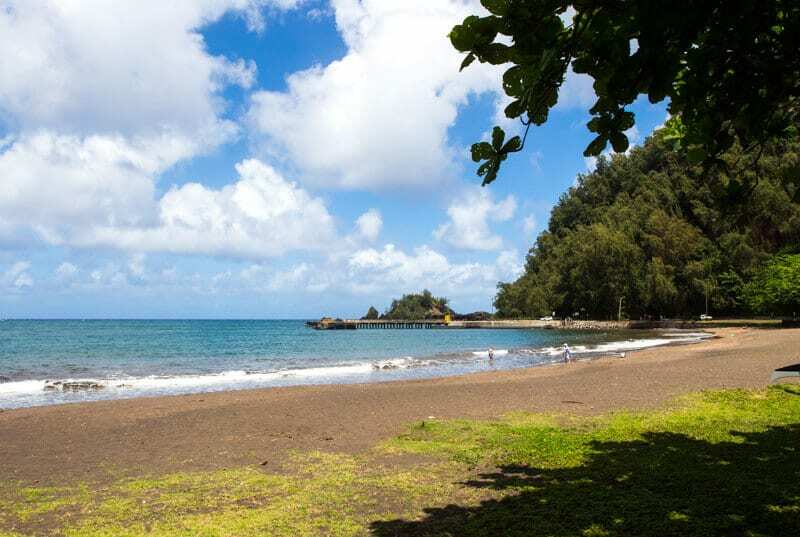 Depending on how you are for time and how hungry you are (if you’re not bringing your own lunch) you can visit Wai’napanapa State Park either before or after Hana on the return home. It’s close enough to Hana to fit in it in either way. We stopped in on the way back and I wish we had more time to stay longer and explore. 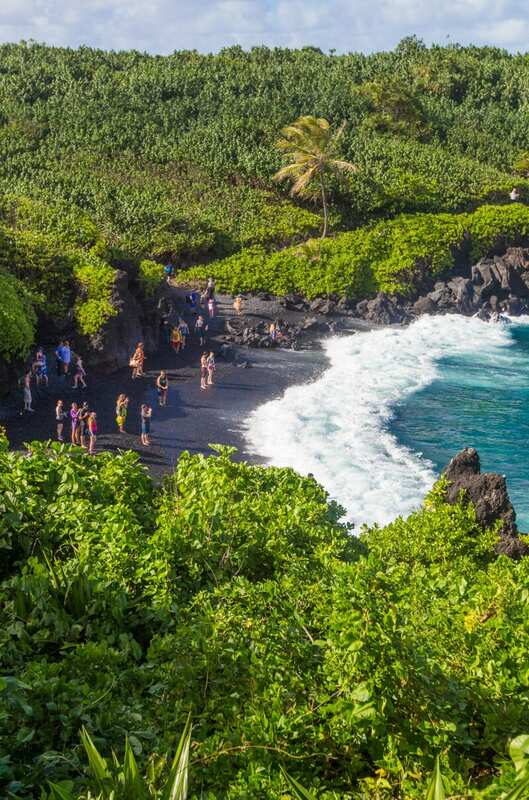 It’s strikingly beautiful with the black sand beach named Pai’iloa Beach, the bright green plant life, and turquoise waters. There are hiking trails to take you to sea arches, blowholes, caves, lava tubes and stunning view to the East Maui coastline. You may even want to stay awhile for swimming. The waves looked pretty rough and sucky when we were here though so be cautious. It’s best to check with the local’s swimming conditions of beaches. I know we lose a lot of tourists each year on our Australian beaches because they enter not understanding the local conditions. The translation for Wai’anapanapa is “glistening water” or “water flashing rainbow hues”, both of which are accurate in describing the powerful contrast between the black, pebble lava field and the deep blue-greens of the ocean. You can find more in-depth information on WAi’napanapa State Park here. It’s when you arrive in Hana that you realize the Road to Hana is less about the destination and more about the journey. There’s really not a lot to see here. It’s still in a very pristine, underdeveloped state which is fantastic to see and adds a unique charm, although I found the beach grey and non-descript. You might wish to stay a little longer to explore the history and vibe a little more deeply. It is said that The hill beside Koki Beach is said to be the site where the fire goddess Pele fought her older sister, Namakaokaha’i, goddess of the ocean. Here is where Pele’s bones rest after her defeat, though her spirit went to Kilauea on the Big Island of Hawaii. For lunch, the line for the Thai food truck near the baseball field was long and signaled to us that this was where we would roll in for lunch. We had a couple of readers recommend it to us as well. 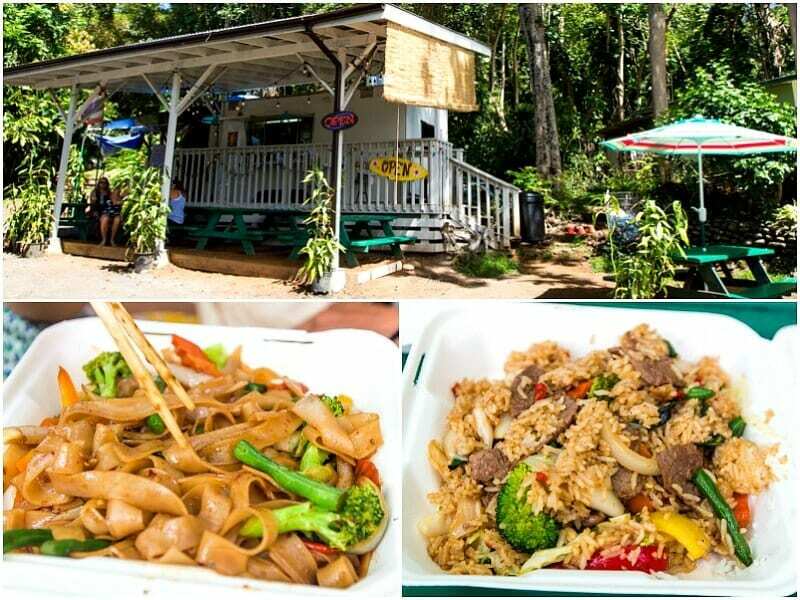 They were right as usual it was a Hana highlight – authentic Thai amidst the rainforests of Hana. Who’d have thought? You can continue 0n from Hana to explore more scenery, but as mentioned the signage was even worse and we got more tired. It’s where the mile markers get confusing. It seems as though they are measured with the beginning point from the end of the Hana Highway rather than continuing on from Hana. 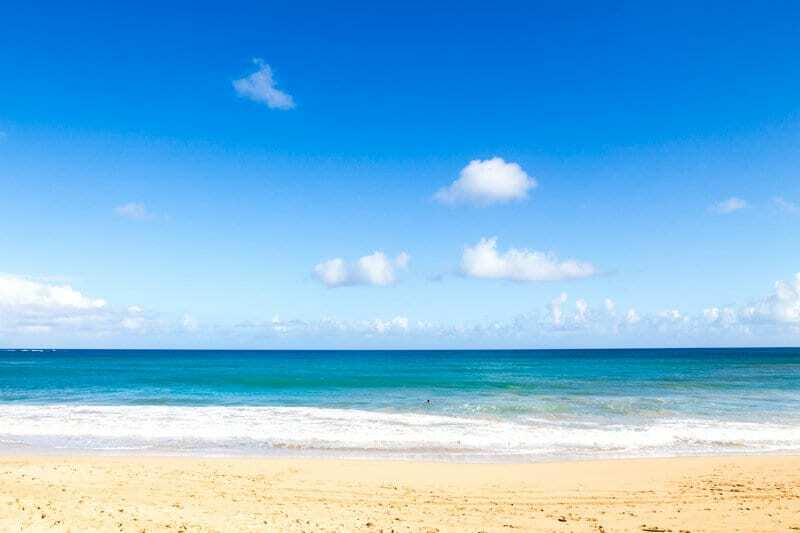 Consistently named as one of Maui’s best beaches, Hamoa Beach is lined with sea cliffs, hala trees and lush vegetation. 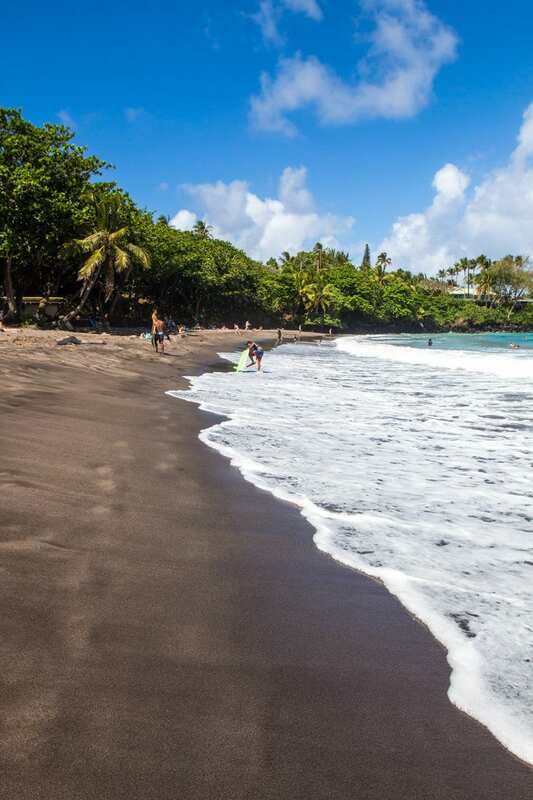 The crescent shaped beach has silky peppery sand, unlike many of the black grainy and pebbly beaches, and makes it is a great place to relax for awhile before starting your drive back. Depending on the wave conditions, it can be very family friendly. When the waves break, it’s much loved by surfers. Know what you are doing though as there were quite intense shore breakers when we visited. It was only as we were on our way back down the Hana Highway that we passed this again and I realized it must have been the Wailua Falls. There wasn’t a lot of water running and no one around so it looked like just another waterfall and not worth pulling over for. You can just take a snap from your car, it’s that close to the road and a pull over for you to do so. I’m still not 100% sure that it was the place I saw as I”ve seen descriptions about crowds of people, and local vendors but no one was around for us. There is a quick walk down to the plunge pool for a refreshing swim and views. The water cascades 80 feet down the side of the lush jungle wall. If the water was gushing it would be pretty spectacular! ‘Ohe’o means “Something Special”, which is why we were on a mission to keep going on the Road to Hana to experience it. Many people recommended this as the highlight. ‘Ohe’o Gulch is located within the Haleakala National Park. When open a proper map and guide on this part of the trip would be essential as there was no signage whatsoever saying how close you were to the pools. Our maps were useless. We had no idea where we were on the road and how far we had to go. We could have easily been two minutes away when we turned back but we had to make a choice. I was surprised that there was no signage indicating the location of something so well known! I know we should have been better prepared which is why I’m stressing to you the importance of a good map and guide for the Road to Hana. There are more than 7 pools here when the water levels are up, many of which are open for swimming if the water levels make it safe. Make sure you follow all signs as people have died here fro rock slides and debris flowing over the falls. You can also camp here and from pictures I’ve seen, it looks stunning and would be a Road to Hana highlight for sure. Another option, if you did not want to do drive the Road to Hana yourself, is to join a Road to Hana tour through Get Your Guide. You can then sit back and relax and ensure someone else takes you to the best spots. Start Earlier. We always have good intentions but with kids, stuff happens. We left Ka’anapali Beach Hotel at 8am, I think 6am is a better idea! We found the markers terrible on the Road to Hana. Plan before hand or wing it and follow the car in front of you! If you are only relying on car radio, station 95.1 had great music. The food options aren’t fantastic. There are a couple of roadside stalls and fruit stands. Take snacks just in case. Take a decent map and Road to Hana Guide. 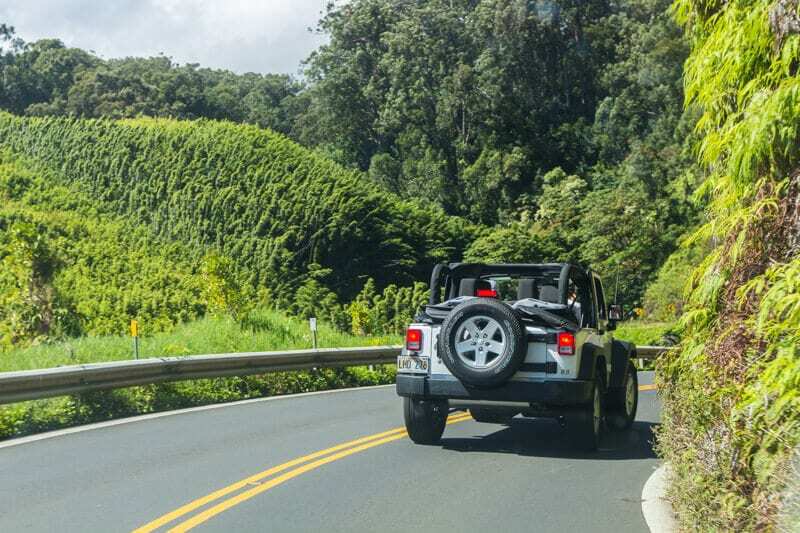 Hire a jeep wrangler because they looked so cool with the Road to Hana scenery. Make it red. Best for your photos. Possibly stay along the road – there are some accommodation options. Especially if you have kids, you may want to break the trip up. It was an intensely big day for us, which wiped us out for the rest of our time in Maui. We canceled some other planned excursions so we could recover on Kaanapali Beach. 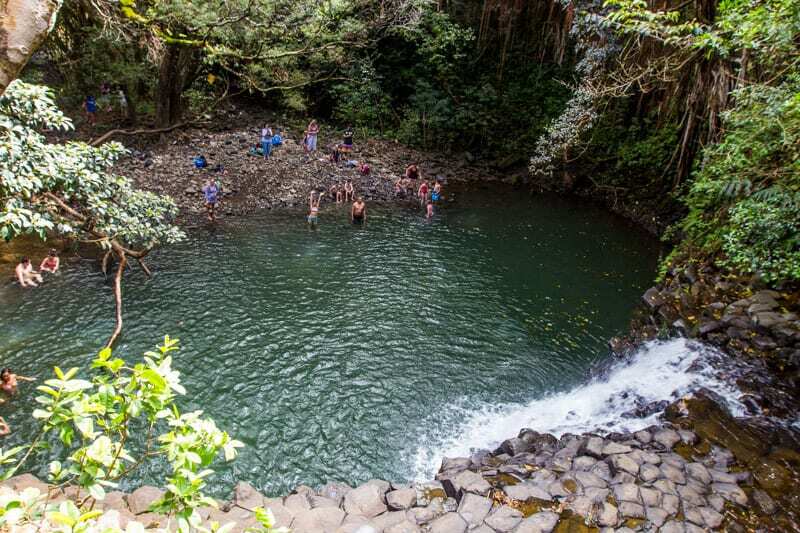 Swim at more waterfalls, easier for you to do if you spend more than one day on the Road to Hana, otherwise your time will be limited. Pack more water than you think you’ll need. Nothing like tired, hot kids and you’ve run out of water. Watch for the locals. They hate all the tourists blocking up the road. With good reason, they’re not driving on it to see the sights, they’ve got work to attend to. You’ll know who they are as they’ll drive fast and tailgate you. Pull over for them and let them past. A couple were driving on the little aggressive and dangerous side. Pack spare camera batteries and SD cards for the cameras. Portable charger for your phones. Do your due diligence beforehand, decide on a few locations that look the most intriguing, and take your time at each location. I hope this Road to Hana Guide can help you have an amazing time. 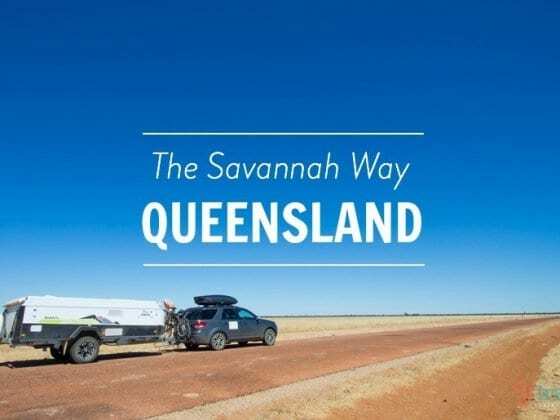 It is beautiful if you haven’t done a lot of coastal or jungle road trips and I think if you go fully prepared with the right information and time, you’ll have a memorable experience. You can read more about our stay at Ka’anapali Beach, Maui here. Discover Hilton’s best promotions of the moment in Hawaii, Maui, Oahu & Kauai. Do you have any tips for driving the Road to Hana in Maui? Please share. Love the Photo from the twin falls! And man do we love Hawaii. Hey Daniel. Yeah, Twin Falls was probably my fave spot on the Road to Hana. Great Article! Love to visit at Twin falls and Hamoa Beach. Thanks for Sharing! Useful tips and information. great article, I love your sites. Its great to visit this place now its been hit my bucket list of travel. Oh my God!! What a nice blog I read and can’t believe that by travelling road I can visit all these places in a single shot. Really Pictures are awesome and especially twin falls. Will this be a good trip if we travel with Family? 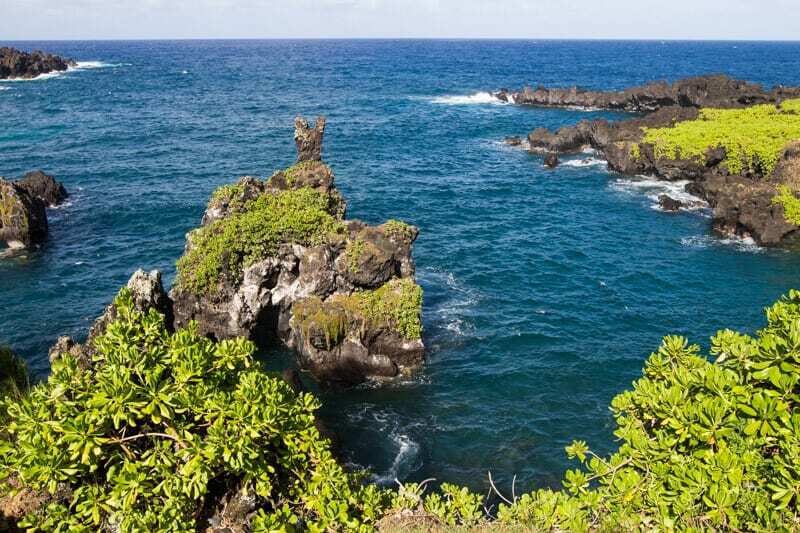 Hana is an unspoiled beauty dangling from the island’s northeastern tip. Untamed Kahanu Garden contains the world’s biggest collection of breadfruit and a lava-rock structure believed to be the largest ancient place of worship in Polynesia. Totally agree on needing details on all the stopping points. We still found it took forever to reach Oheo Gulch, even knowing how far it was. We also tried to leave early-ish, but had to stop for an hour just past Twin Falls, due to a landslide being cleared. I am just wondering if i can bother you for a couple of questions. We are thinking of driving through Hana. We are arriving via cruise and will be renting a car. 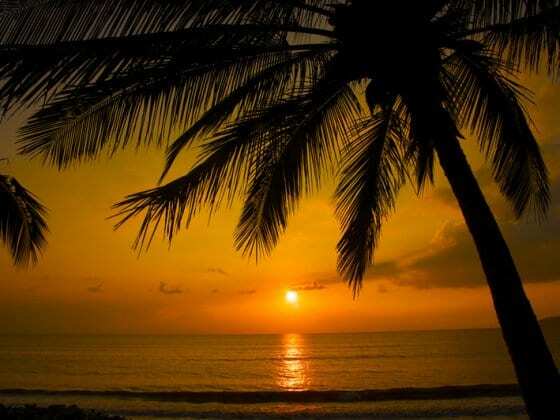 Our trip will start at Lahaina, we will arrive at 7am and leave at 6pm. Do you think we will have enough time to do the whole trip? I know they said you can always turn around whenever you like but we want to see the twin falls, 7 sacred pool, upper waikani falls, black sand beach and the lava tube. Would 9 hours be enough for all of those sites? Also, which car rental do you recommend? I really appreciate all of your help if you don’t mind. You could possibly do it. But if you arrive by cruise at 7am I’m guessing by the time you get off the cruise and get a rental car and get going it will be more closer to 8.30 or 9am. And you would have to be back by 4pm to be safe that you don’t miss the cruise. So that gives you 7 hrs. I love the road to Hana! 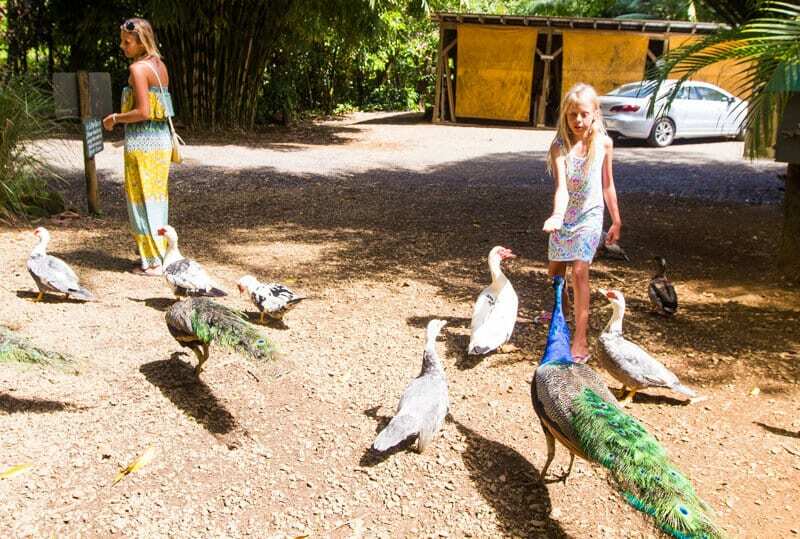 We loved exploring the road to Hana at a much slower pace as well. Also – your photos are gorgeous.Can’t wait to read about the next portion of your adventure.